Photo: Robert Yerkes House, ca. 1872, 535 East Base Line Road, Northville, MI. Listed on the National Register of Historic Places in 1984. Photographed by User:Andrew Jameson (own work), 2010, [cc-by-3.0 (creativecommons.org/licenses/by/3.0)], via Wikimedia Commons, accessed March, 2014. The city lies in equal parts in both Oakland and Wayne counties, almost equidistant from Ann Arbor (30 minutes) and Detroit (25 minutes). Residents north of Baseline Road live in Oakland County, south of Baseline, in Wayne County. 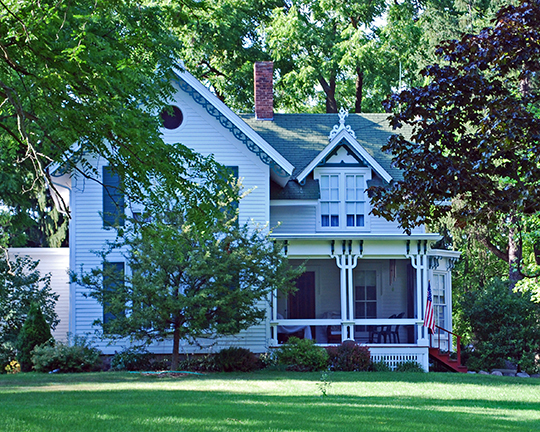 Northville was incorporated as a village in 1867 and as a city in 1955. According to the city's website (April 2009) the community is made up of approximately 6,500 residents.